This is to Certify that (Sgt) James Grant (Cameron Highlander), has been regularly enrolled a Comrade this 1st day of September 1919, Kingussie Branch. 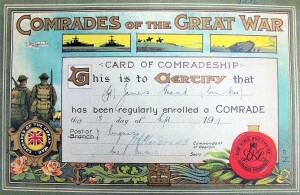 The Comrades of The Great War were formed in 1917 as a non-political association to represent the rights of ex-service men and women who had served or had been discharged from service during World War I. 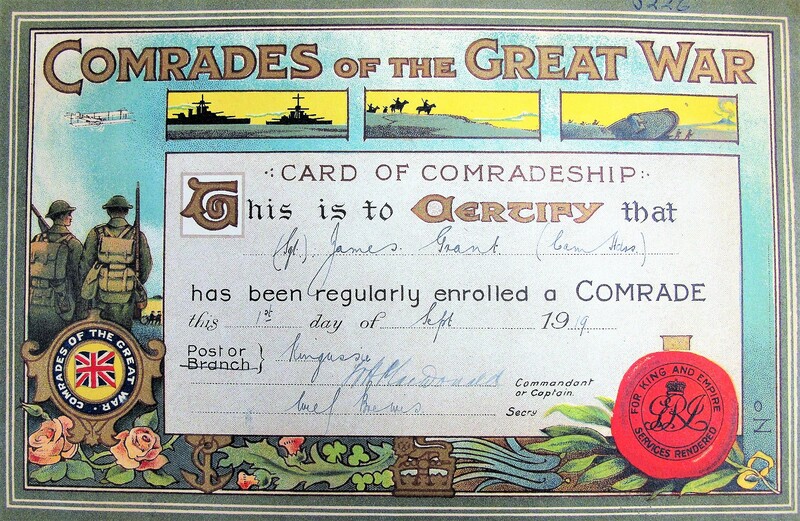 Comrades of The Great War was one of the original four ex-service associations that amalgamated on Sunday 15 May 1921 to form The British Legion.